Super Teacher Worksheets has many printable worksheets to gear up for Martin Luther King Day. Choose from reading comprehension passages, math worksheets, a word search puzzle, and a fun coloring page. 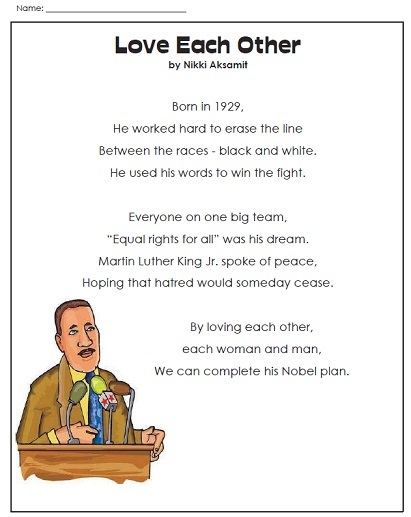 Supplement your lesson about Martin Luther King with this poem. Visit our Martin Luther King Jr. Worksheets page to view the entire collection.